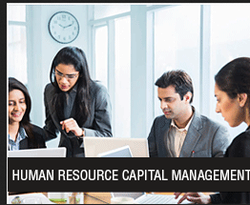 Human Capital Management is one buzzword, which is undergoing a paradigm shift across the globe. Oracle Fusion Human Capital Management (HCM) incorporates new technology and new processes to provide a complete suite of products that can be implemented as a whole or in modular fashion. - For an organization seeking to optimize talent, a foundational step is communicating this strategy to employees and then teaching employees how to make this strategy a reality. Indeed, analysis of the Rever Innovations HCM survey results showed a relationship between HCM change management maturity and talent optimization. Capital management, Capital management, Capital management. R. K Rajendiran & Co.
Oracle offers full spectrum of solutions for Workforce Deployment and Development business functions. Global Technology Services L. L. C.